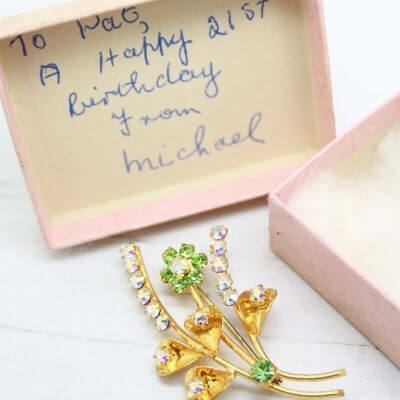 Description: This delightful little 1950s vintage brooch features an array of sparkly colourful crystal rhinestones claw set into a gold plated setting. 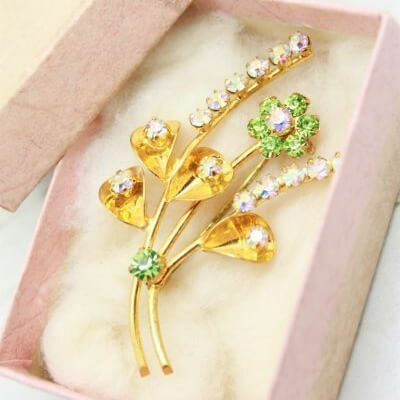 Styled into a spray of flowers and measuring 5cm at longest point, the brooch is in wonderful condition. All stones original and complete with a secure roll lock clasp. “To Pat, A happy 21st birthday, From Michael”. 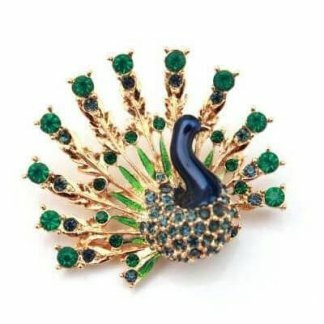 We just adore this brooch at Queenies Bazaar and feel it has a good history and story to tell. 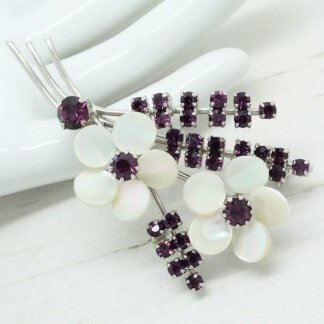 Hopefully you will treasure this genuine vintage brooch as much as Pat did. 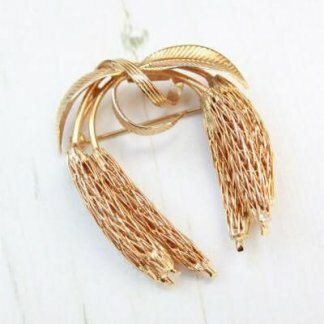 <3 Care Guide: It's best to keep your jewellery free of dirt, cosmetics, hairspray and perfume. Avoid water and harsh chemicals. I also recommend cleaning Sterling silver, gold and other precious metals with specialised cleaners. For further help, information & or product photos please contact me, I'm here to help.